Open House on Sunday, April 28, 2019 2:00PM - 4:00PM Nestled on a quiet cres in the heart of downtown Burlington. 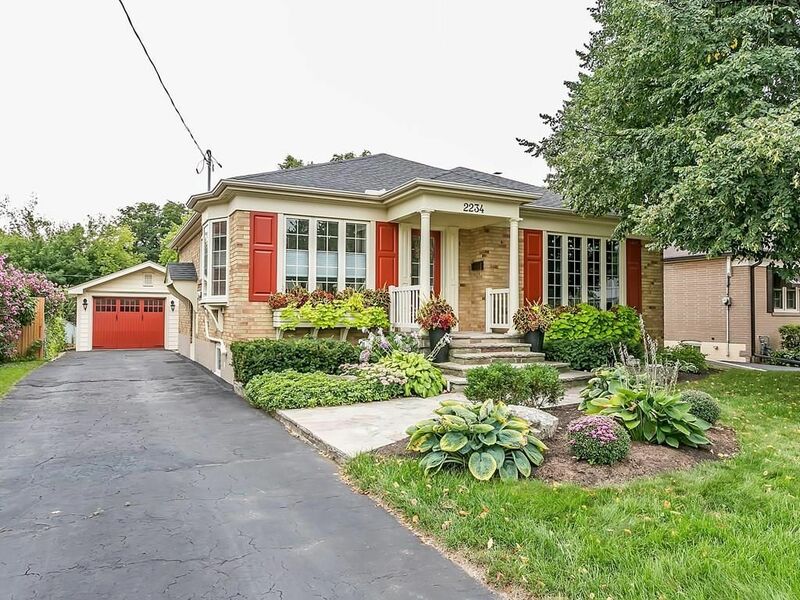 This charming renovated & expanded bungalow will surprise you with its bright open layout. 3+1 bedrm, 2 full baths. Renovated with great attention to detail & high-quality finishes. Beautiful recently renovated bungalow in downtown Burlington with high quality, professional workmanship and design throughout. Bright, custom kitchen by Artisan Design featuring white cabinetry, banquet seating, stone backsplash, under-counter pot lights, and Samsung stainless steel appliances. This 3 + 1 bedroom home features modern hardwood flooring on main level. Stunning new gas fireplace, with built in cabinet surround. Pot lights and new custom blinds complete the designer look. The fully finished lower level offers a very large second master bedroom with sitting area, huge walk-in closet, 3-piece bath, large recreation room, bright laundry room and side access to exterior. Large pool-sized fenced yard with stone patio, separate 1 ½ garage and flagstone walk way. Sprinkler system in front yard. Walk to parks, YMCA, Seniors Centre, Go Station, downtown and to the lake. Visitors will not be disappointed!